We're seeing more and more awesome body tattoos pretty much everywhere we look. Personally, I've observed a recent trend in girl power tattoos, or tattoos with awesome feminist messages. For those of us who are into getting tattoos but don't want large visuals, getting meaningful or inspiring quotes inked onto us is a great option. When looking to find your next idea for a tattoo that you'd be proud to wear forever, because it tells the world you're a woman on a mission, quotes from female politicians or women's rights activists on your body would certainly make a statement. There are so many quotes out there from amazing women who have made their mark in the fight for women's rights that it can be overwhelming to hone in on the exact one that you'd love to have as a tattoo. Choosing a favorite heroine or message that feels like it fits your personality is a really great place to start. If you're looking for a new tattoo, take a look at these quotes from amazing women's activists to find what feels ink-worthy for you. Whether it's a quote from Malala or Elizabeth Warren, you just can't go wrong with a proud feminist quote tattoo, can you? "I Believe In The Power Of The Voice Of Women." This quote comes from the amazing Malala Yousafzai, who just celebrated her 18th birthday on Sunday. Malala became a worldwide inspiration in 2012 when she defied the Taliban and protested for education rights for Pakistani women. 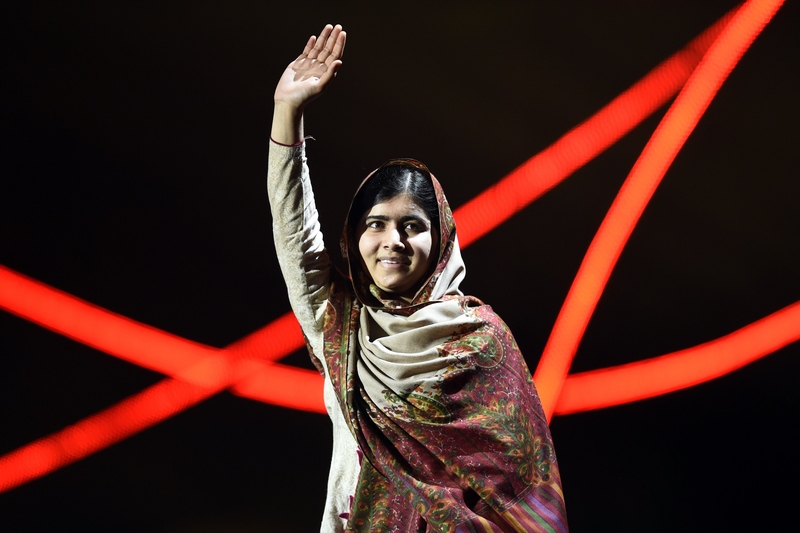 She survived a gunshot wound inflicted by the Taliban, and was the youngest person awarded the Nobel Peace Prize for her activism. A tattoo of this quote would be a powerful reminder of Malala's amazing fight. First Lady Michelle Obama delivered this quote to the crowd in attendance at the Black Girls Rock award ceremony in Newark, New Jersey, in March. We all need to be reminded that we're beautiful from time to time, so why not make it a permanent reminder in the form of a tattoo? "The Truth Is Powerful And Will Prevail." Sojourner Truth spoke these words at a public meeting in the early 19th century, even though some had threatened to set the meeting place on fire if she attempted to speak. For anyone who is empowered by her tireless work for slavery abolition and women's suffrage, one of Truth's most famous quotes would make for an inspiring new tattoo. "No Matter Where You Start, You Can Go As Far As You Can Dream." This comes from abortion rights superstar Wendy Davis, the state senator from Texas who gained national attention in 2013 for her marathon filibuster on a sweeping abortion restrictions bill. This quote is certainly empowering material for a girl-power tattoo, and would honor a woman who has done so much for many women in Texas. This quote from a speech Hillary Clinton gave while she was First Lady resurfaced again when she launched her presidential campaign this year. For the die-hard Hillz fans out there, getting a tattoo of this quote would display your love for HRC and your commitment to women's rights. Some of us want tattoos that simply make us feel good when we look at them. For all the dreamers out there who love a good old fashioned inspirational quote, this line from Eleanor Roosevelt might be perfect for your next tattoo.